Gracie Fields was born in Rochdale, Lancashire, England and died on her beloved island of Capri. She was a great favourite during the inter-war years with comic songs such as “Stop, shop at the Co-op shop,”(1929), “The Rochdale hounds” (1932), “Walter, Walter lead me to the altar,” “The biggest aspidistra in the world,” “She fought like a tiger (for ‘er ‘onour,)” all presented in a Northern, working-class style. She was also a great success between 1931 & 1945 appearing in films such as “This week of grace” (1933), “Sing as we go” (1934), “Look up and laugh”1935, “We’re going to be rich” 1938 and “Shipyard Sally” (1939). 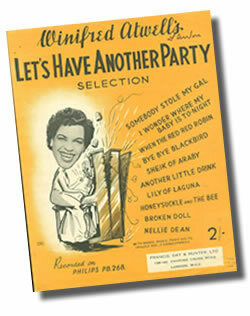 Her most famous song was “Sally” which became her theme song. 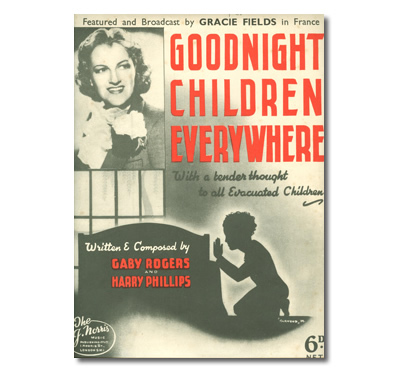 Sheet music for “Goodnight children everywhere” at the outbreak of world war two carried the message “with a tender thought to all evacuated children” and during the war she worked for ENSA entertaining the troops. 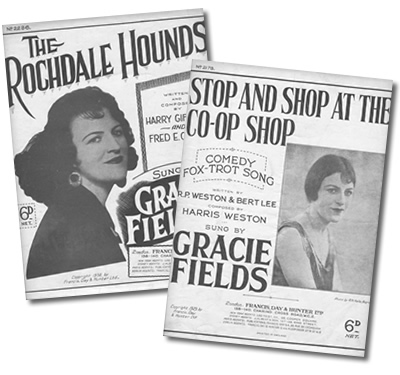 Gracie Fields was born in Rochdale, Lancashire, England in 1898 and became a great favourite with comic songs such as 'Stop, shop at the Co-op shop' (1929) and 'The Rochdale hounds' (1932). At the outbreak of the 2nd world war (1939), British children were evacuated from major cities to escape bombing. This piece, "Goodnight children everywhere," illustrated by "Harwood" carries the thoughts and prayers of the time. 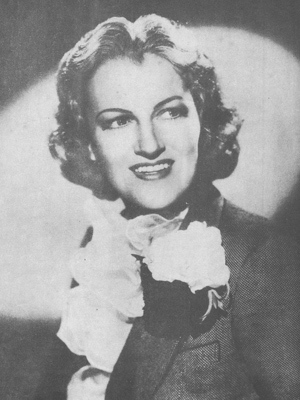 Gracie Fields enjoyed great success in films between the two world wars. 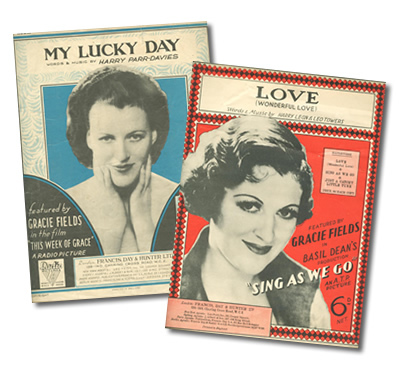 Here are song sheets, "My lucky day" and "Love (wonderful love), from two of her most famous films "This week of grace" (1933) and "Sing as we go" (1934). 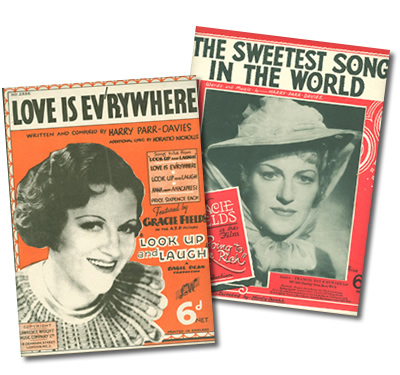 Love is ev'rywhere" from the film "Look up and laugh" (1935) and "The sweetest song in the world" from "We're going to be rich"(1938), both sung by Gracie Fields. 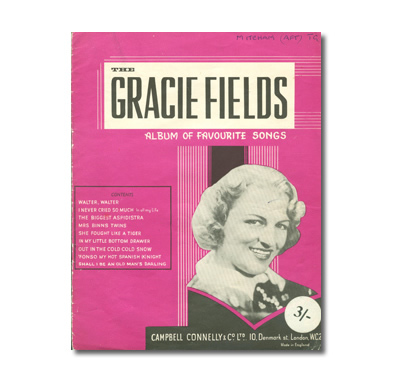 Eight of Gracie Field's most popular comic songs re-published in 1948. 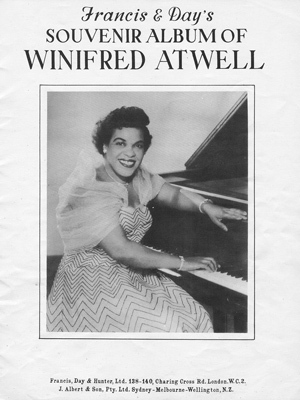 Winifred Atwell is perhaps best known for her recording of « Black and white rag », the signature tune of BBC’s snooker programmes. But she was a versatile pianist, idolised by the British public in the 1950s, before the top fifty, record sales charts were compiled. An accomplished and versatile pianist from Trinidad who eventually emigrated to Australia, she leaves behind, a treasure trove of sheet music successes. 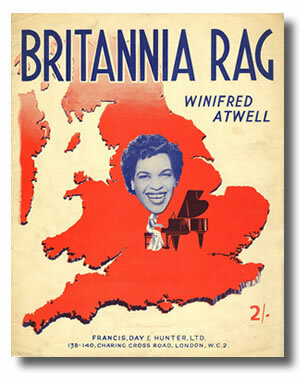 See more Winifred Atwell availabilities in "1950s"
When the NME first began publishing the British singles charts in 1952 "Britannia Rag" was a Christmas hit reaching No.5 in January 1953. 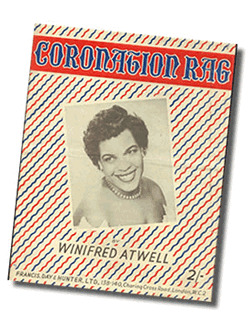 Appropriately during the Coronation year, Winifred Atwell's own composition, "Coronation rag," made the Top Ten charts in June 1953. The No.1 record during Christmas 1954 "Let's have a party" continued the trend, "Let's have a party" being the Christmas hit a year earlier. This cover incorporates a drawing by Fred Low. 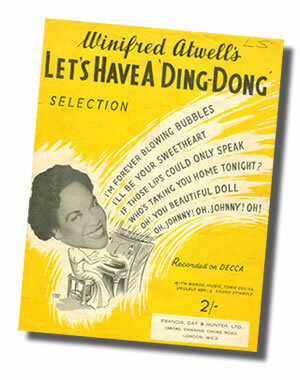 More artwork from Fred Low in Winifred Atwell's 1955 U.K. Christmas hit, "Let's have a ding-dong," using the popular pianist's established formula, a medley of oldies arranged in party style. 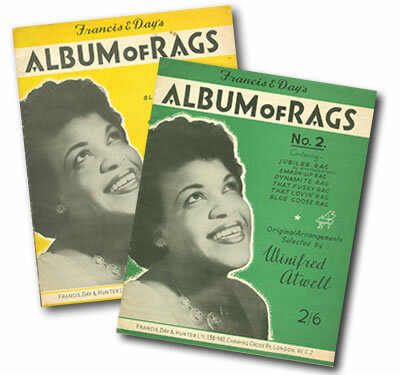 Best known for her rags and boogies played on "my other piano", an old honky-tonk upright, these 1952 publications include the most popular including "Black and white rag", signature tune to BBC's "Pot Black" snooker programmes.